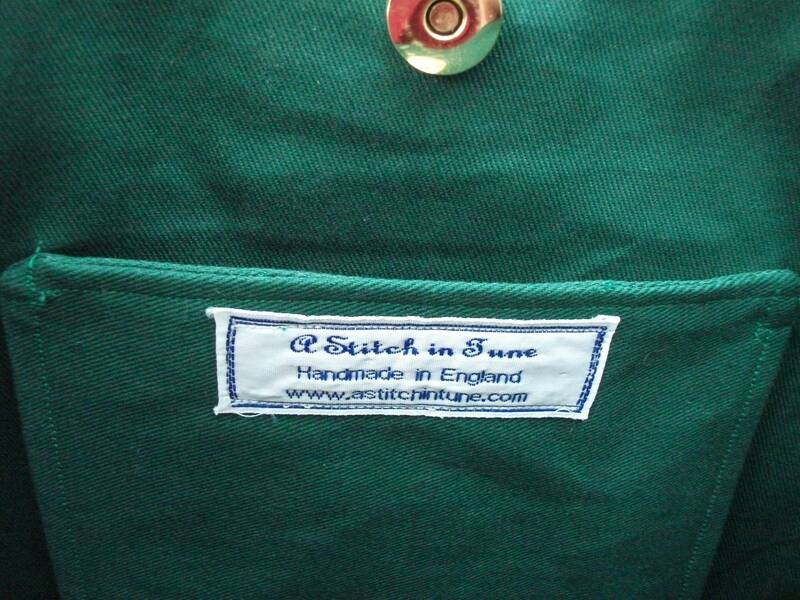 This is a beautiful, practical small shoulder bag made from high quality linen fabric sourced exclusively from Europe. 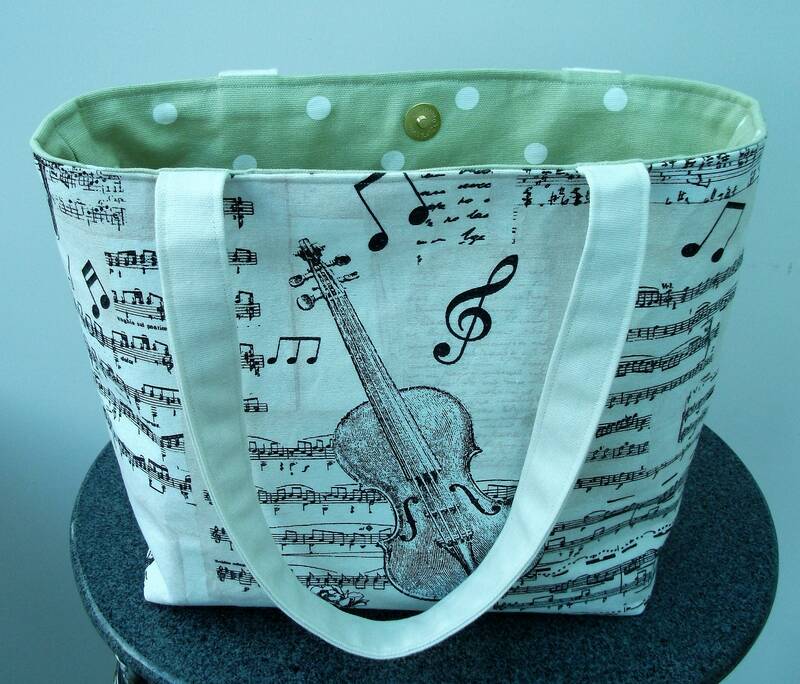 It is lined in a contrasting sage green, spotty cotton fabric and interlined with a Heavyweight interfacing to give the bag strength and body. 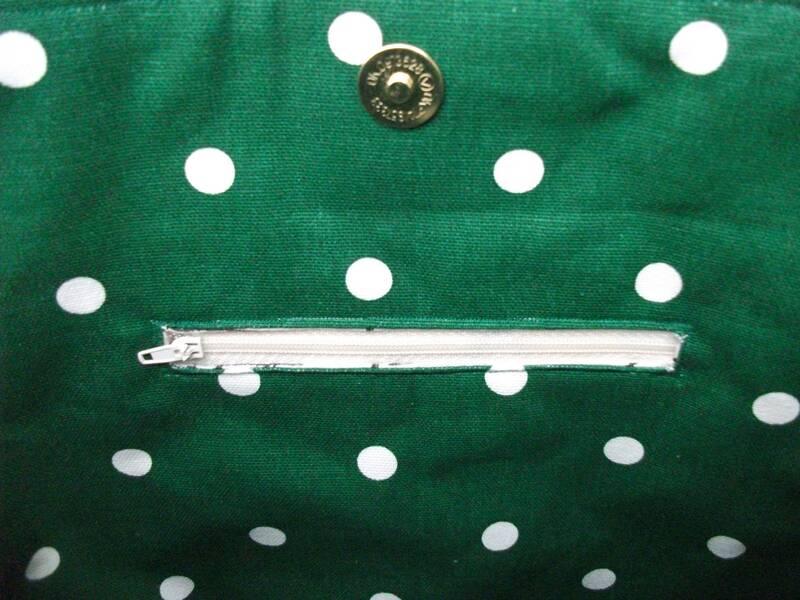 It can also be made with a dark green, plain lining or a dark green spotty lining. 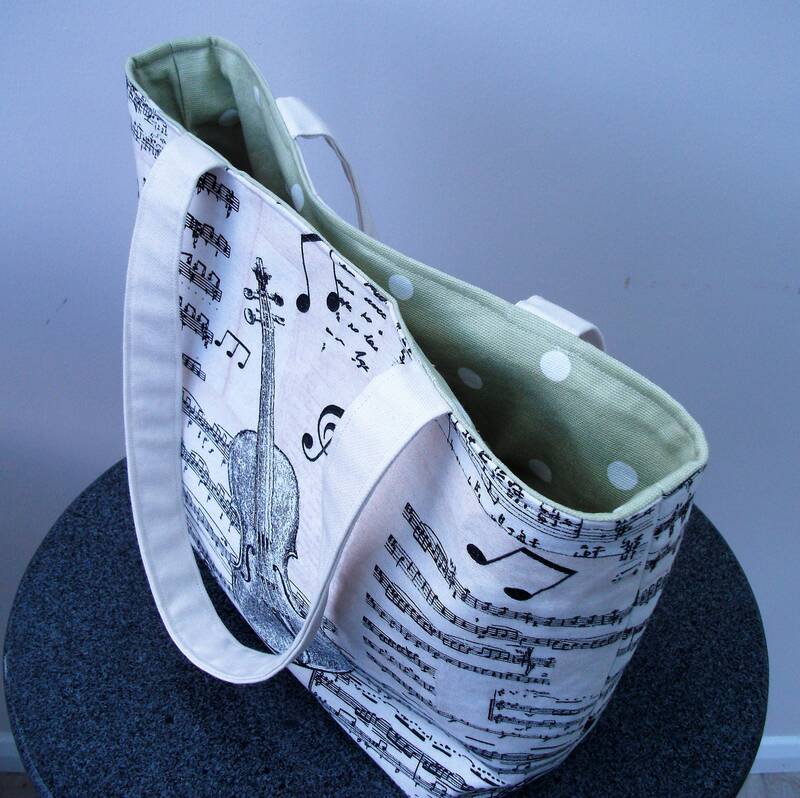 The bag can be used for carrying music, books, or shopping or can be used as a baby bag or a project bag - a myriad of uses. 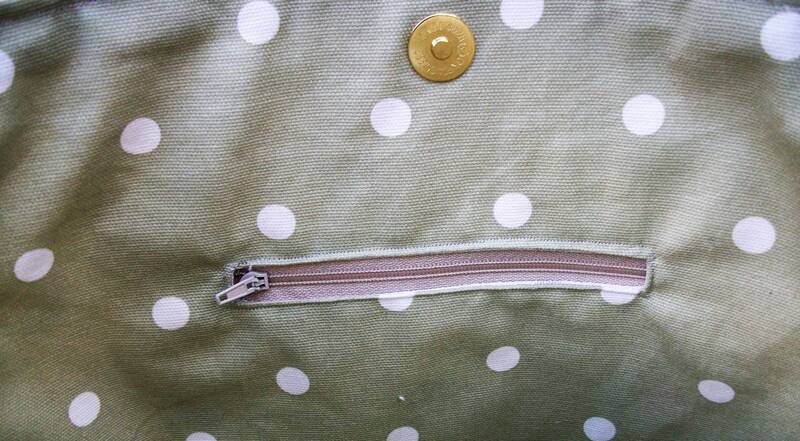 There is a magnetic fastener at the top of the bag to hold it closed to prevent items falling out. 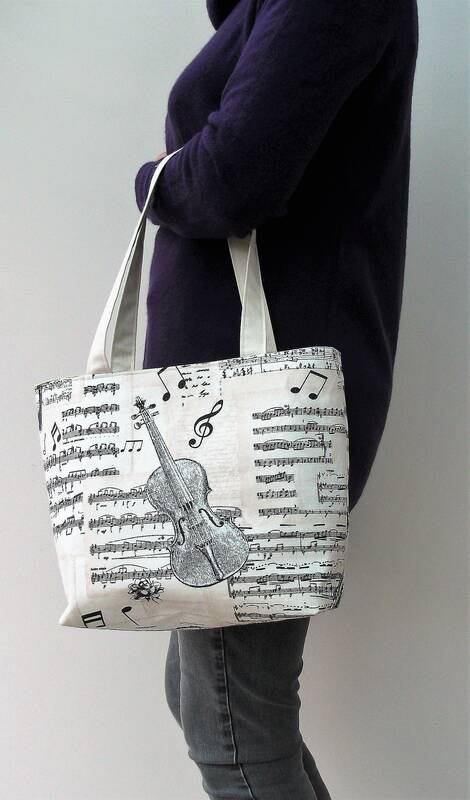 The straps are 19.5 inches or 49 cms long so the bag can be carried easily as a shoulder bag. 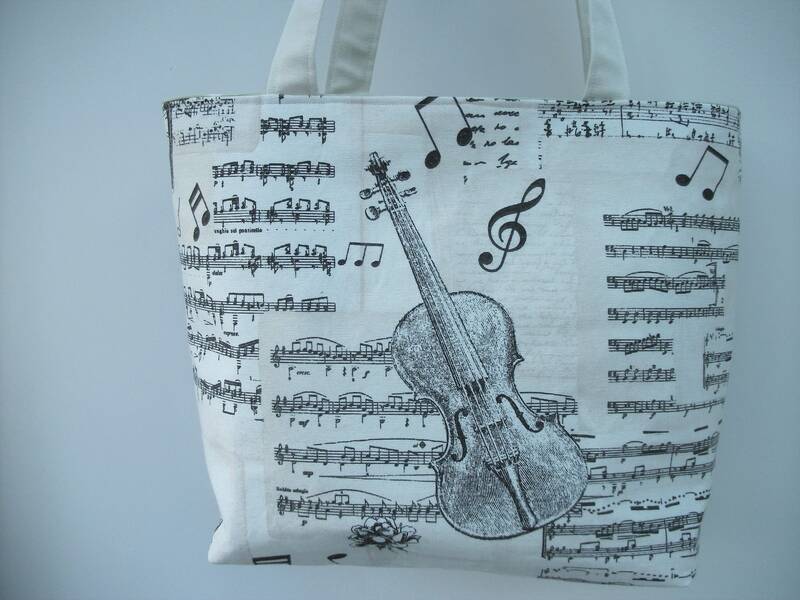 They are made from quadruple thickness of the main music pattern fabric and triple stitched to the bag for strength and durability. 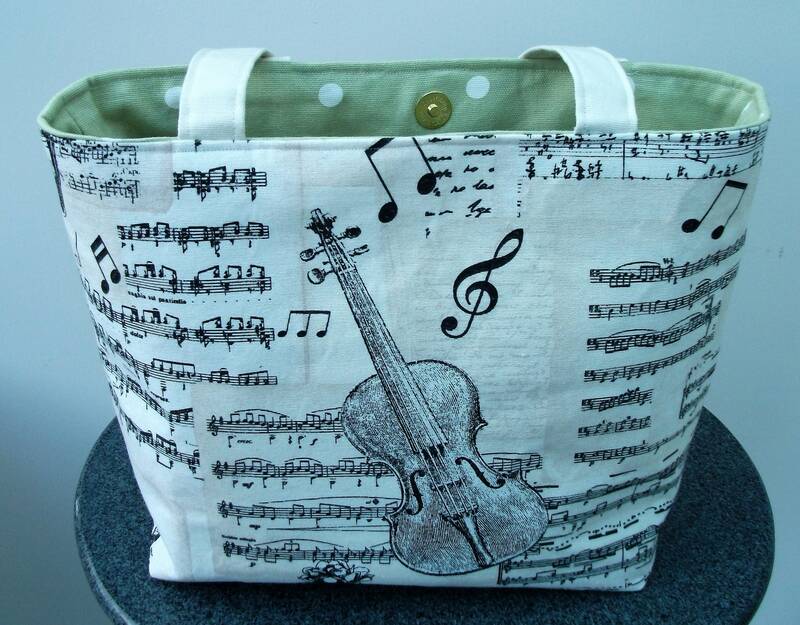 There is a small inside pocket to keep keys, tuning keys or even chocolate safe! It can also be made with an added zippered pocket for added secure storage. 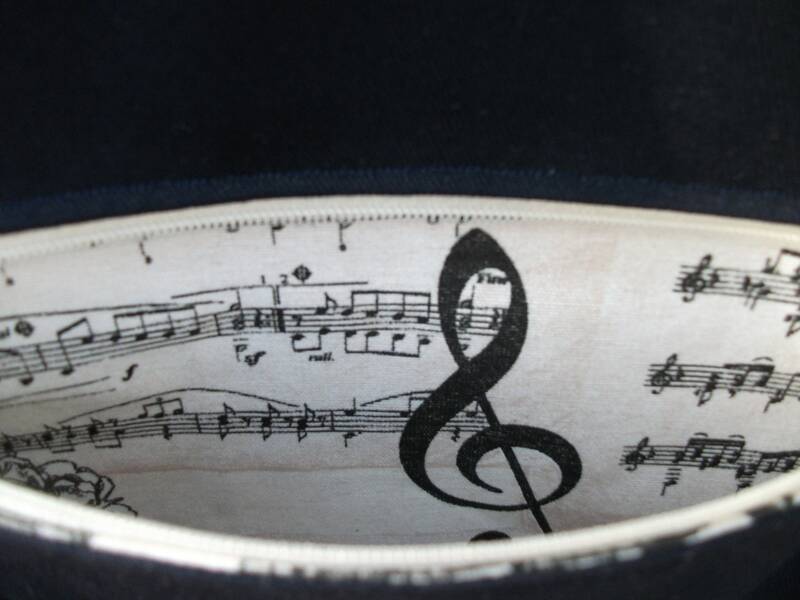 The zippered pocket has the music themed fabric inside, so that when you open the zipper there is more music! Please state choice at checkout. 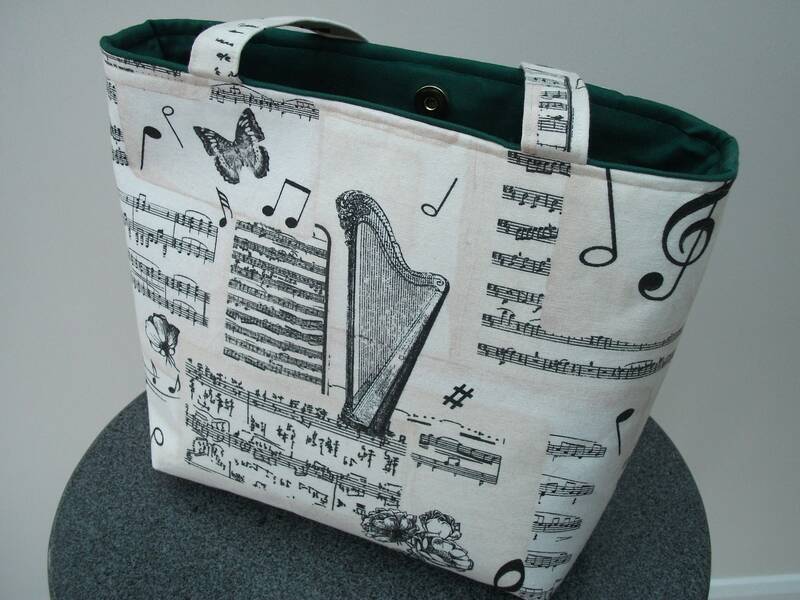 The beautiful fabric has a pattern of a violin on one side and a harp on the other - or it can be custom made with a violin on both sides. Please state option at checkout.